The wait for the bus is a high point of anxiety for bus riders. 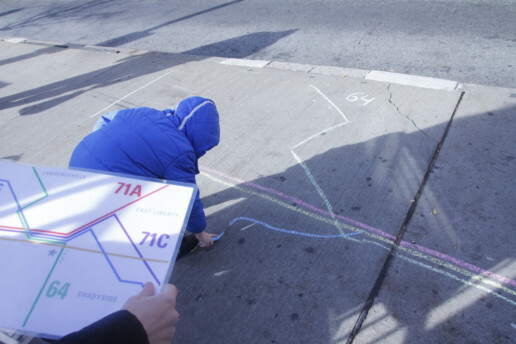 How can we make waiting for the bus a less frustrating experience? Could it be productive? Social? Or just less anxiety-creating? 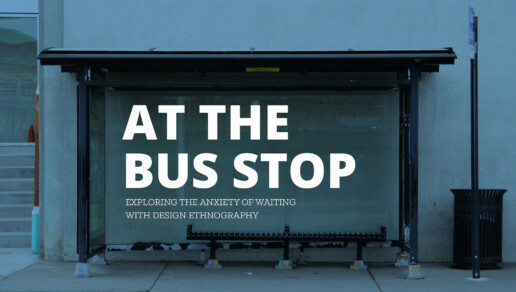 After performing design ethnographic research at bus stops in Pittsburgh, our team proposed four interventions that could reduce the stress of the waiting for the bus. I worked with fellow CMU design grad students Saumya Kharbanda and Kate McLean collaboratively on the research and design proposal phases of this project for the CMU MDes IXD Studio. Design Brief: Look into the everyday lives affected by complex systems that are sometimes unnoticed, immersive, delightful, informative, useful or useless. 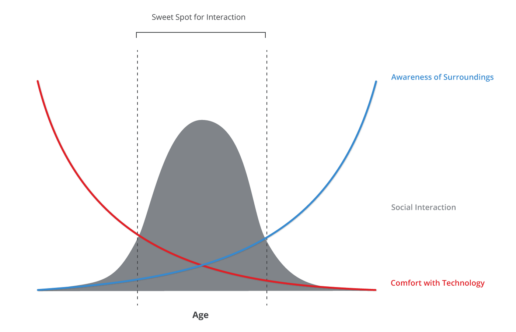 By approaching systems such as social/mobile services from various perspectives, discover an opportunity where intelligent, sensing systems can add value in the way in which people connect with one another in their surroundings throughout the day. After taking several research trips to a busy intersection in Pittsburgh, we observed that bus stop riders are not a homogeneous group of people. They appeared to fall into three categories, clustered around age, but defined more broadly by attitude and habit. The ‘dominant group’ appeared most comfortable at the bus stop and used the wait time for social interactions. We wondered if we could spread this attitude without disrupting the hierarchy already established within stops. Taking our initial research a step further, we also experimented with several playful lo-fi interventions in the space to get an understanding of what people would respond to and how. 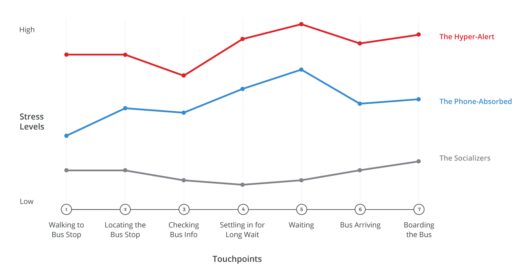 While the wait time between buses might be fixed, the way people track that wait time varies—from a tacit understanding of the bus cycle to printed schedules to digital apps. We saw that the fixed arrival time increased anxiety, focusing people on the wait time and creating frustration if the bus was even a few seconds off. An integrated wayfinding system tracks the location of the buses, relying heavily on people’s assessment of arrival time and avoiding fixed scheduling. 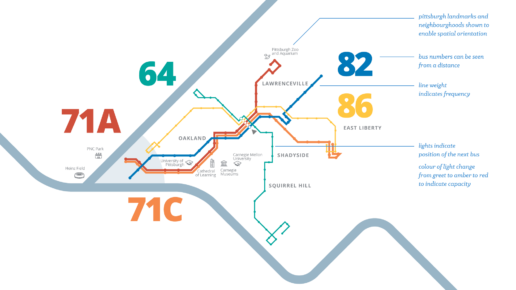 This map begins to orient people to Pittsburgh’s illegible geography, and more functionally, alleviates the confusion of an overcrowded bus blowing by. The bus map design uses a poster map and LEDs. 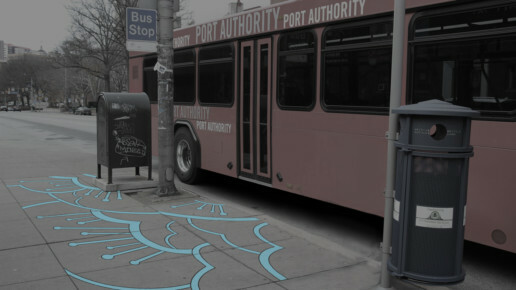 Each map is customized for each stop it is implemented in and is connected to the Port Authority’s GPS bus data in order to show bus tracking. People ritually checked the space or their phone to see when the bus was arriving, keeping them from engaging in social interactions or other activities that they might find more meaningful. A lighting and sound system helps to indicate where bus stops are located at night but also indicates when buses are arriving so that people can focus on activities while waiting. 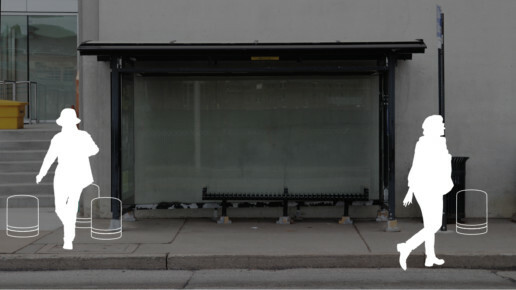 Typical bus shelters have small frames that can only accommodate three to five people. Stops where we found the most social interaction were deep and allowed people to move in, out, and around the stop. Modular seating that expands outside of the frame of the bus stop acknowledges people’s habit of being in motion in and around the designated space while waiting. Bus stops with shelters are easy to locate but those with bus signs are a challenge to find for newcomers. Colorful concrete patterns around the bus stop help identify bus stops and create a clearer sense of space for stops without shelters. These tiles are different for each stop, and designed by local artists, creating a greater sense of community for each stop and adding to the legibility of the city.